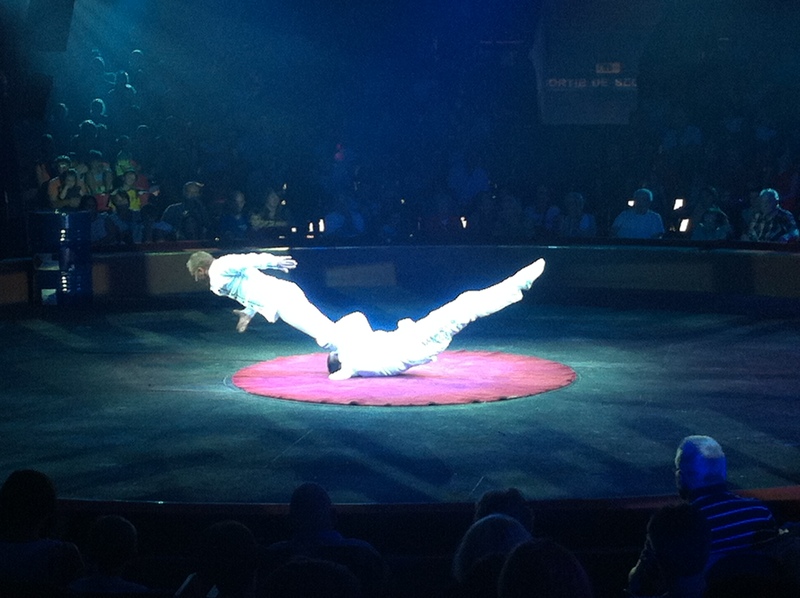 Last week I attended an authentic French circus! 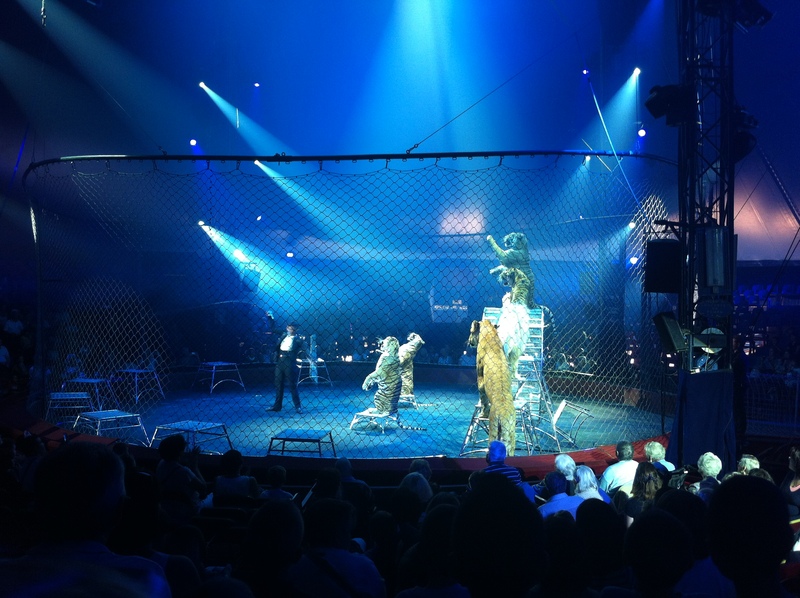 It was like an American circus, only in French ;) My sister-in-law won two free tickets, so she invited me to go with her and my niece, which was really nice! 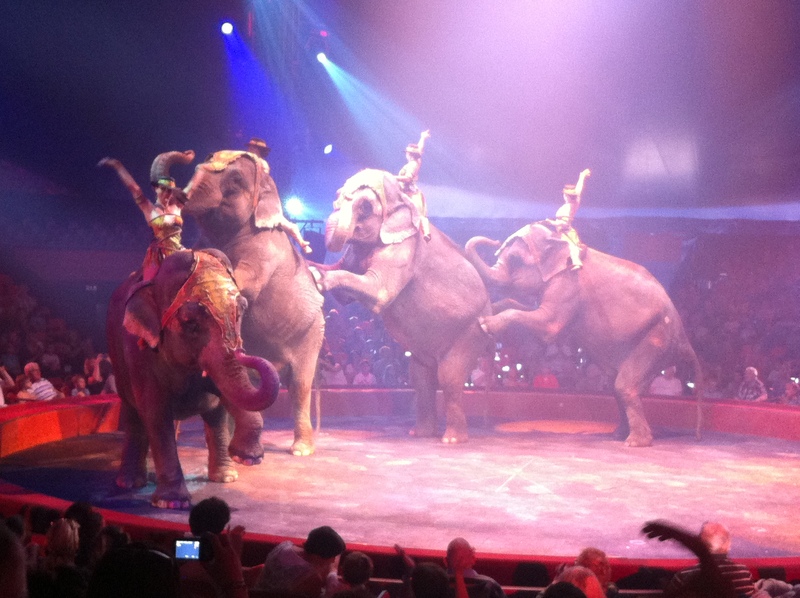 Timéa wasn’t really into the performances for the most part, except for the elephants and the acrobats. But she’s such a well-behaved toddler that she just sat next to us most of the time, playing quietly. 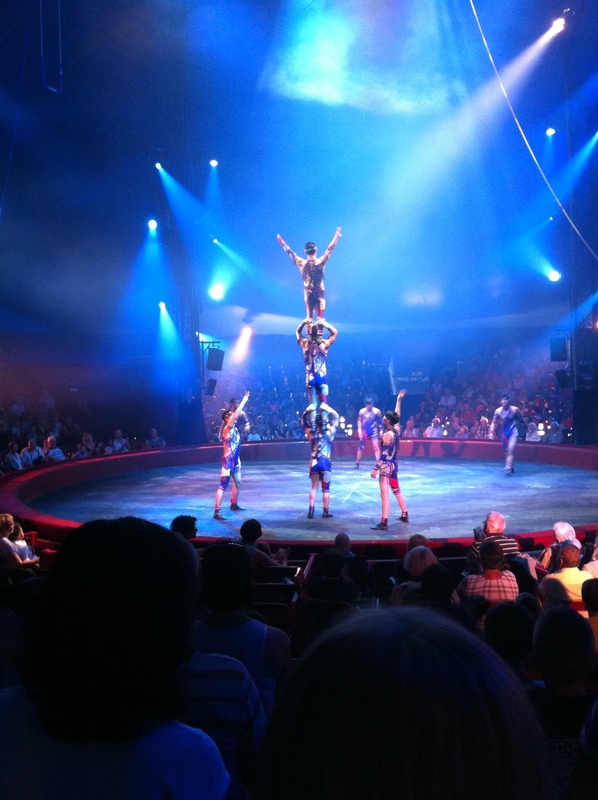 So here were my favorite circus moments! 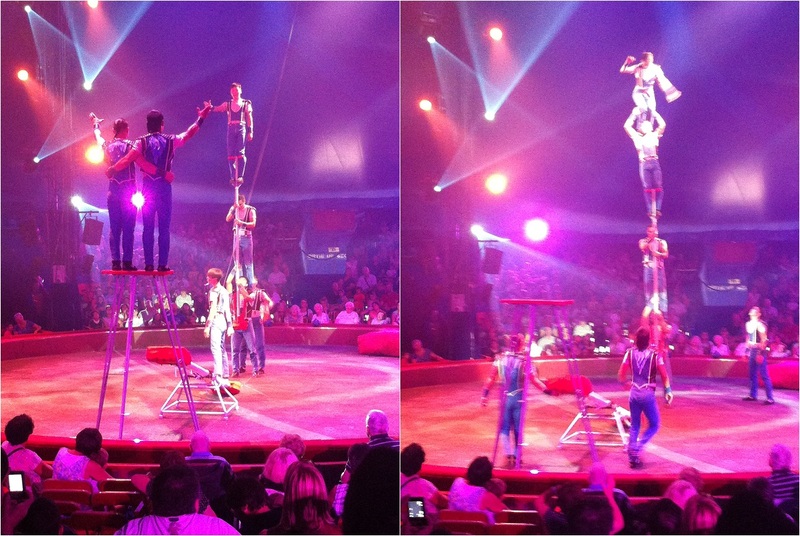 These acrobats were more like gymnasts, and they did lots of flips and balancing tricks. 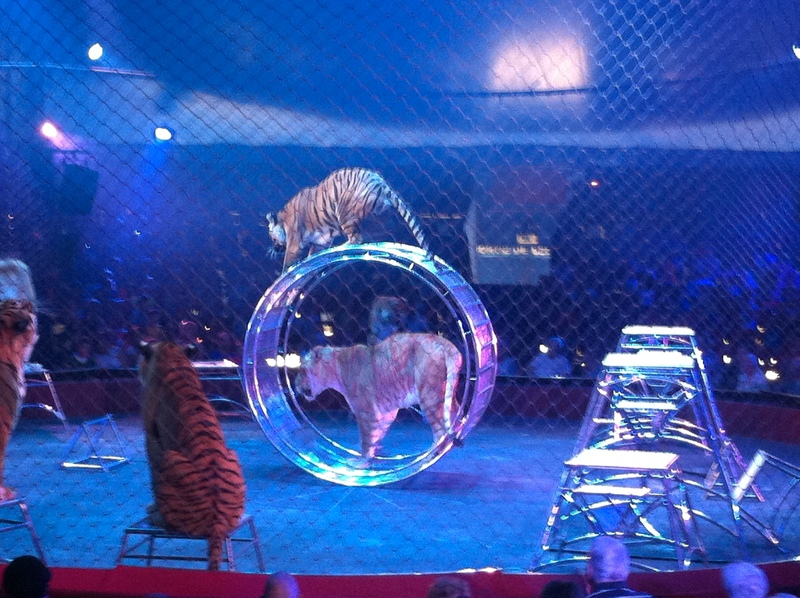 Lions and tigers and…more tigers! It’s hard to see them all, but there were 5 tigers, 2 lions, and 2 lionesses. 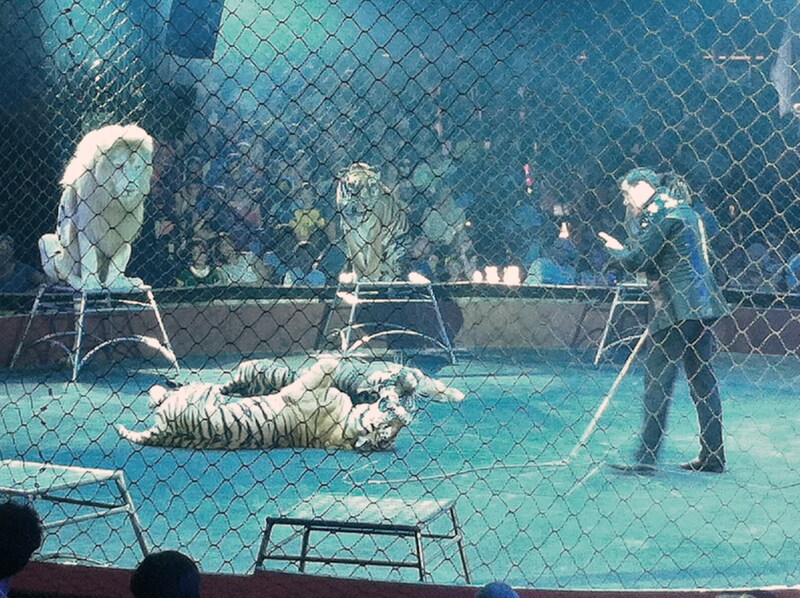 That’s 9 (NINE) big cats in one cage! Ok, this tiger reminded me of Solo with his dramatic kitty stare. I love tigers! They were going for some type of safari-western mixed theme. 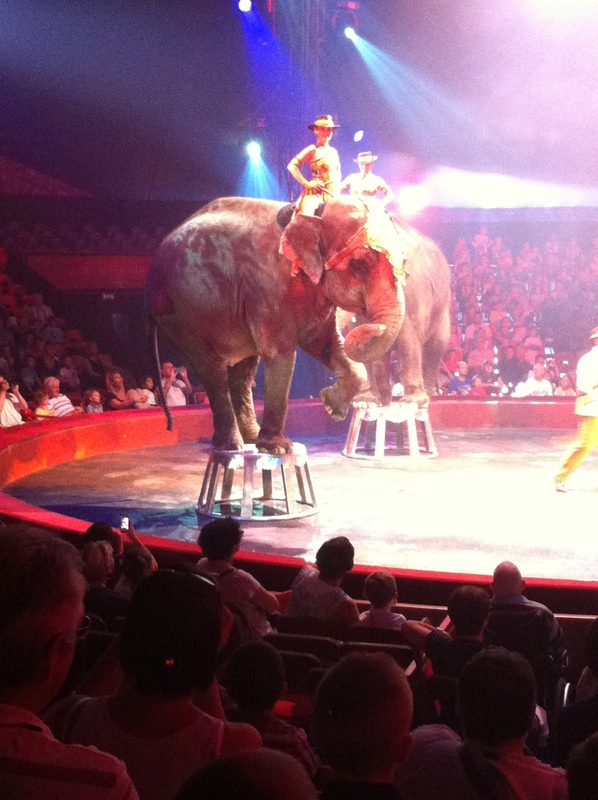 The elephant to the left would walk around in a circle and the elephant on top would have to “tip toe” around on the stool. Just watching this made my abs hurt! It’s like Pilates on steroids. Those were all of my favorite performances…but then there was this one performer who was abominable. He was rather vulgar and inappropriate for a family circus, in my opinion, and the worst thing about him was that he had at least 3 different performances in the show. 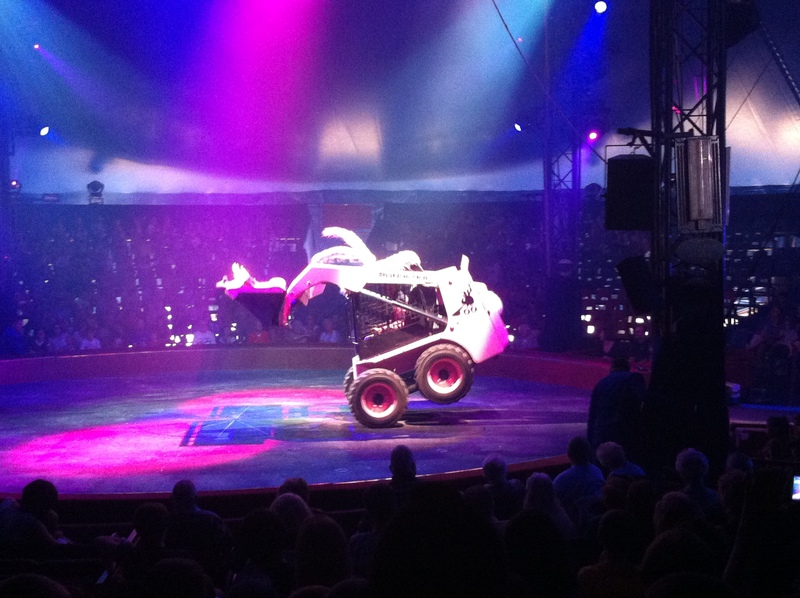 This is the only picture I took during one of his acts, when he came out in some type of pink bunny decorated bulldozer. Oh, he was also a pyromaniac, so every one of his skits involved fire: eating it, breathing it, being engulfed in it…dancing like Miley Cyrus at the VMA’s while doing all of the above. 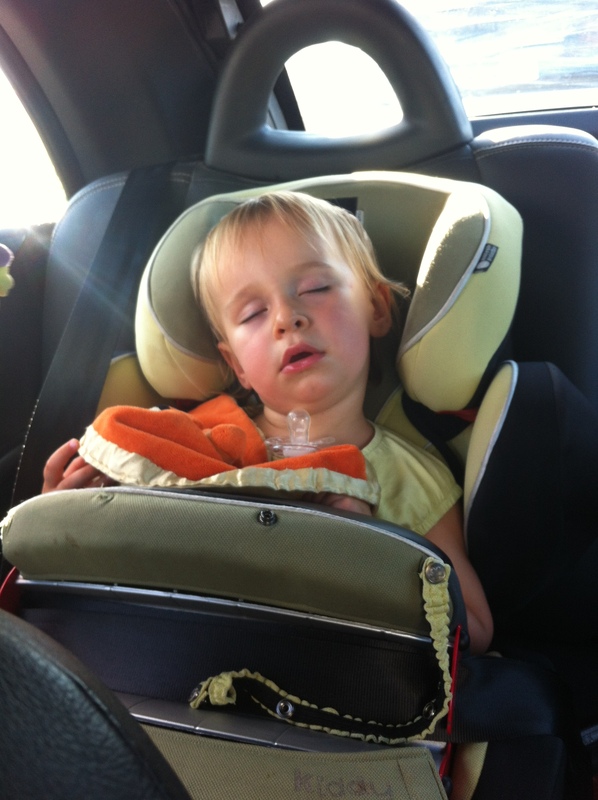 …but only my niece got the chance to do that! Hello and thanks for your comment! Teeterboard act! 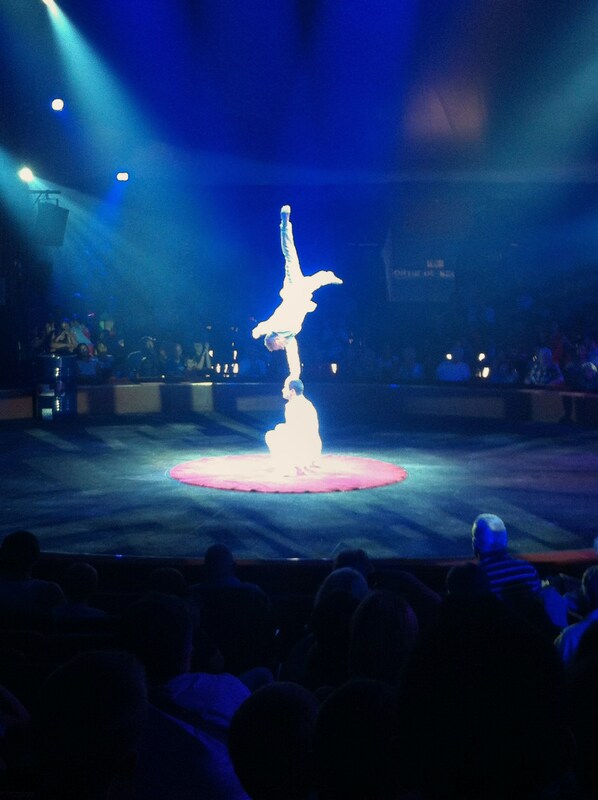 Good to know :) The circus is called Arlette Gruss. Are you living in France as well? 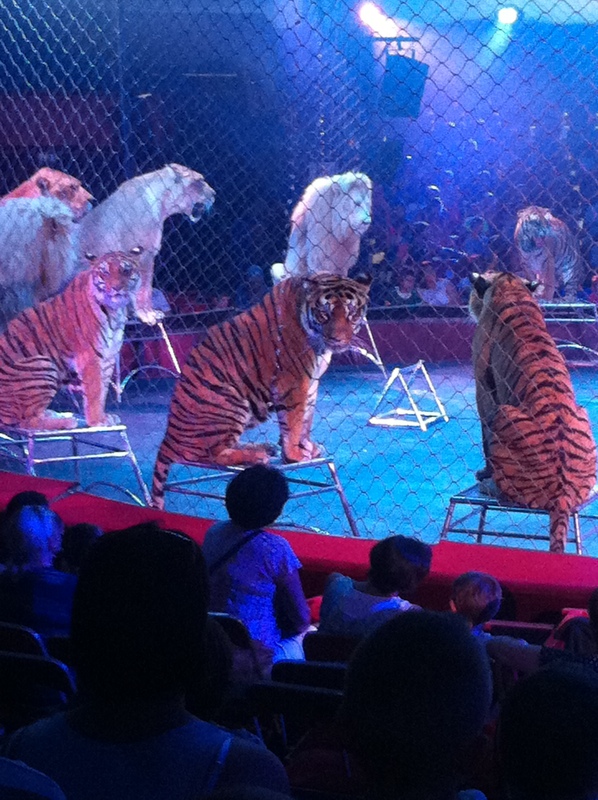 No, I’m based in the UK, but working in the Netherlands for a few months – very interested in circuses though! I don’t think the it’s enough critical writing out there (although that’s slowly beginning to change), so like to encourage it wherever I can, as we can all learn more from shared experiences and knowledge! I like that! 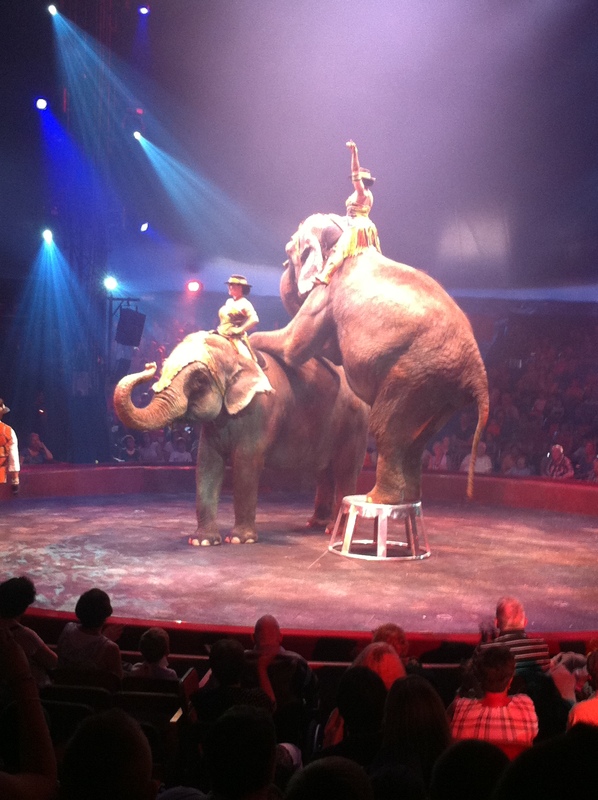 Circuses are wonderful :) Keep on encouraging them!